Start. 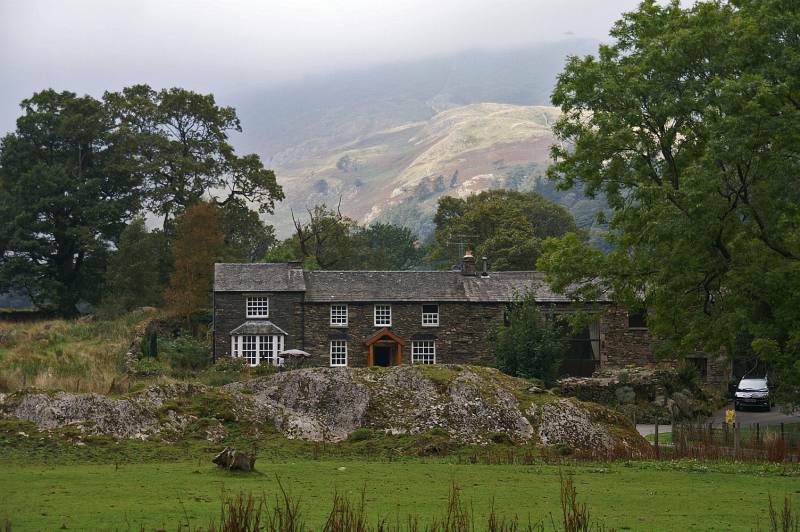 Patterdale Hotel Car Park. Route. Patterdale - Grisedale Bridge - Ruthwaite Lodge - Grisedale Tarn - Brothers Parting Stone - Ruthwaite Lodge - Elmhow - Thornhow - Glenamara Park - Patterdale. Notes. Grisedale Valley cutting deep into what Wainwright called "The Eastern Fells" creating a formidable barrier between the Helvellyn and Fairfield massifs, for me it's the gateway to some of the best fell walking in the Lake District. 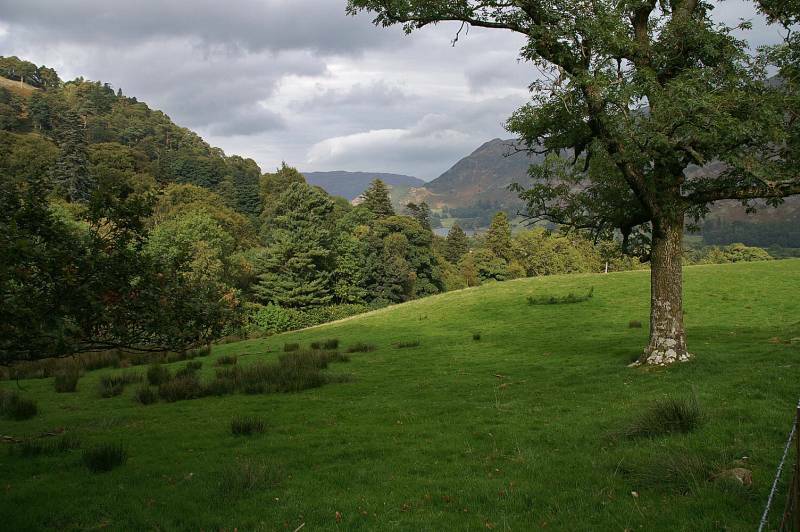 My day started in Patterdale with tarmac under foot, the sun on my back, heading north along the main road. On reaching Grisedale Bridge a single track road climbs to the left, I followed this into the high valley of Grisedale, at the first junction I turned right, the lane cut across the valley, over the waters of Grisedale Beck before turning sharp right, here I left the lane to ascent through a field, this allowed access to a slightly higher path that runs along the northern edge of the valley, this higher path presented me with my first taste of what was to come, a storm raging at the head of the valley, black cloud with obvious driving rain. 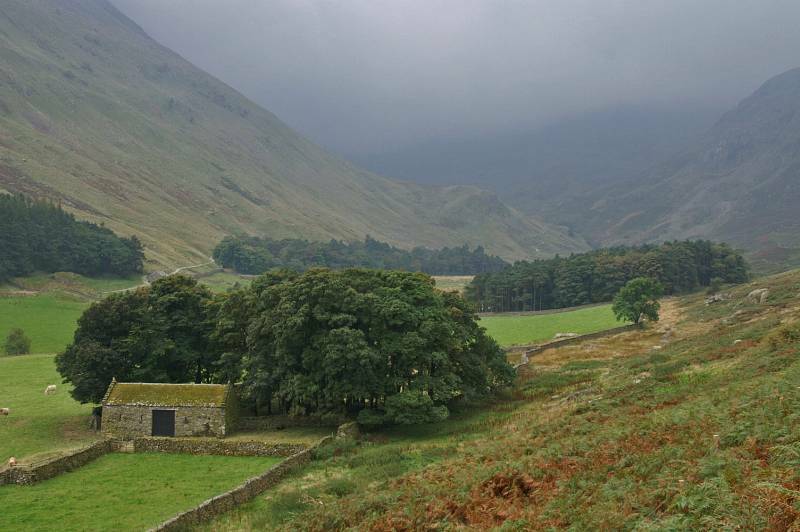 I continued as the landforms of Lakeland first softened then disappeared around me, as I ascended to Ruthwaite Lodge I met the wind and rain, like a fool I continued upwards to circuit Grisedale Tarn before making my descent along the valley bottom path, passing two delightful farm cottages before reaching Thornhow. 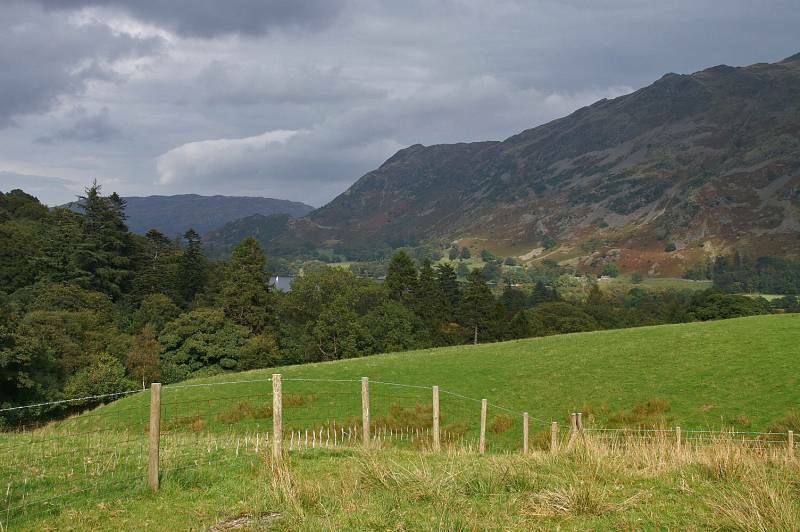 Here a fingerpost directed me to Patterdale, as I ascended through the Scots Pines in Glenamara Park the lakes suddenly came back to life, with the sun on my back, waterproofs in the bag I casually wandered back to Patterdale. 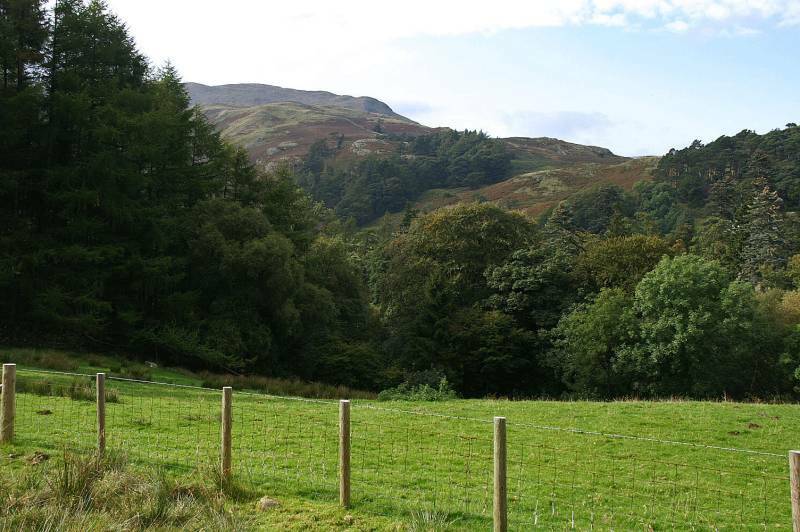 The view over Deer How Farm. 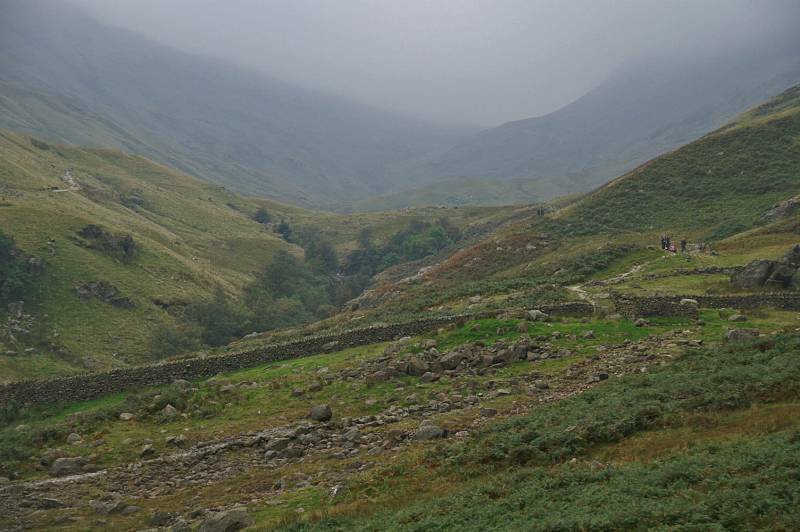 Hazy today Grisedale, with St Sunday Crag rising to the left. 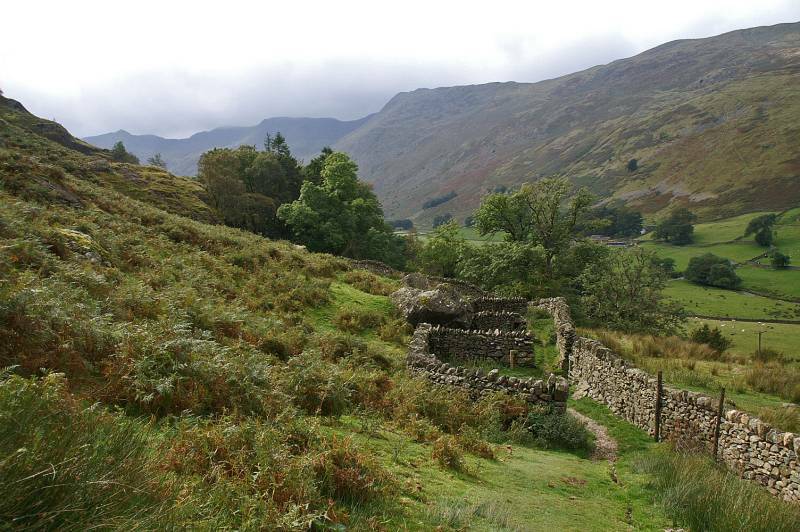 Thornhow End seen across Grisedale. 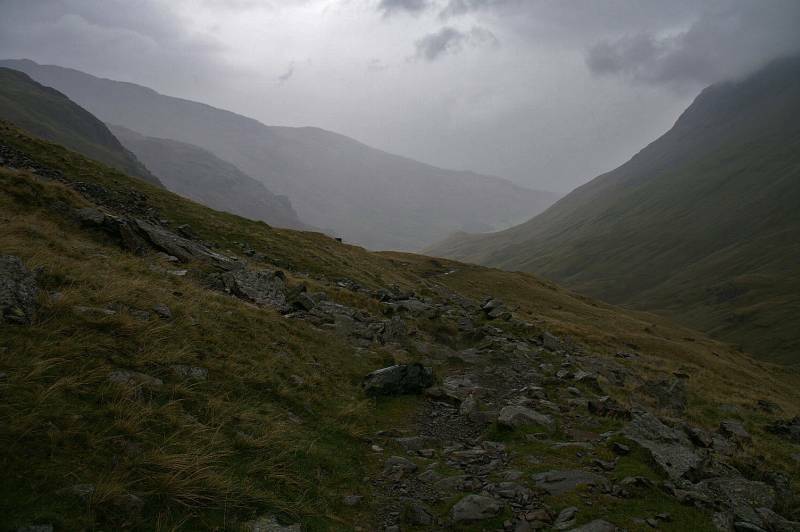 Under leaden skies the head of Grisedale. 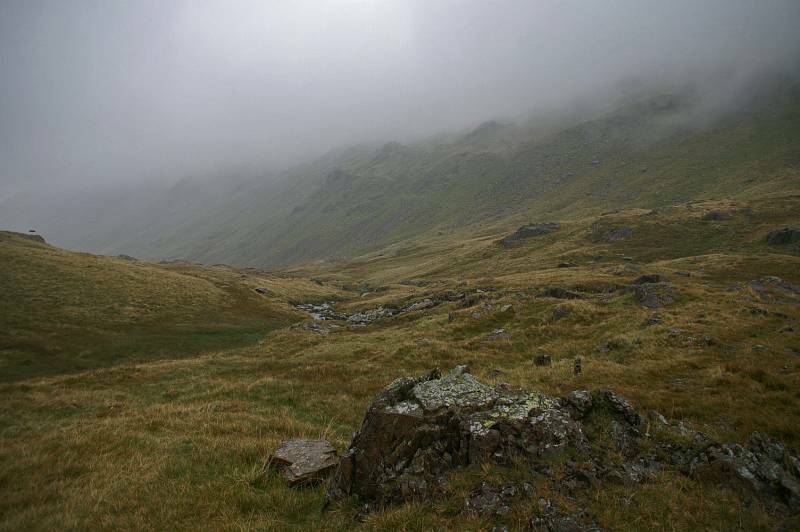 As I wandered up the valley the bad weather quickly closed in around me, looking back to Place Fell, now under cloud. 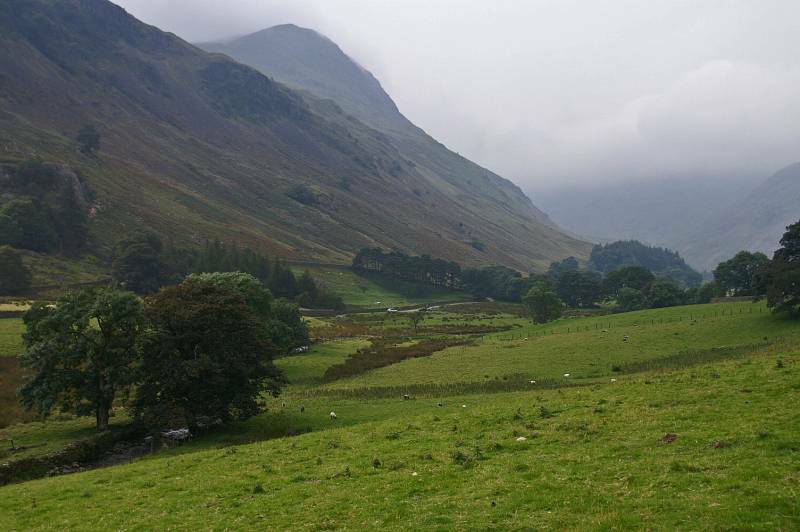 A grey day across the head of Grisedale. 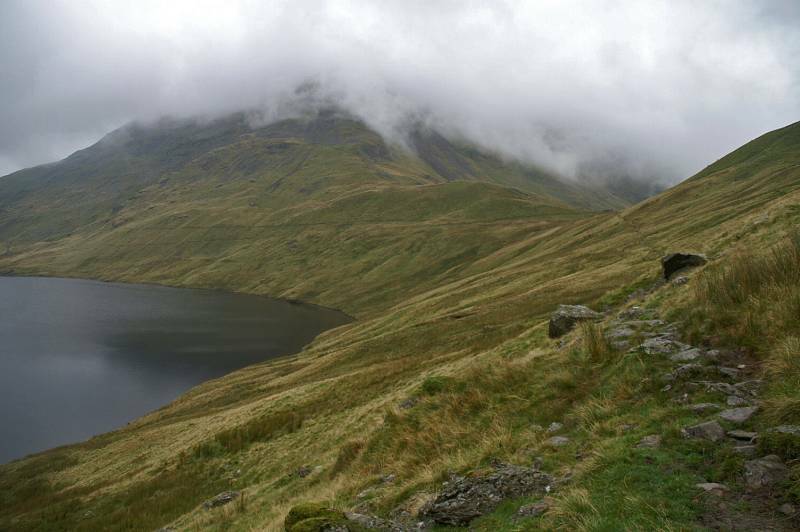 Even when the cloud is low the Lakes still have a magical feel about them, up there somewhere St Sunday Crag. 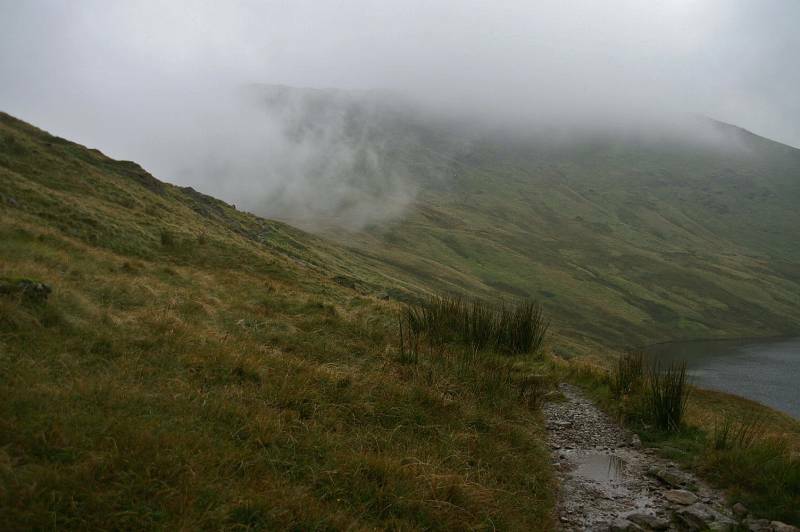 Cloud rolls through Hause Gap almost obscuring Seat Sandal. 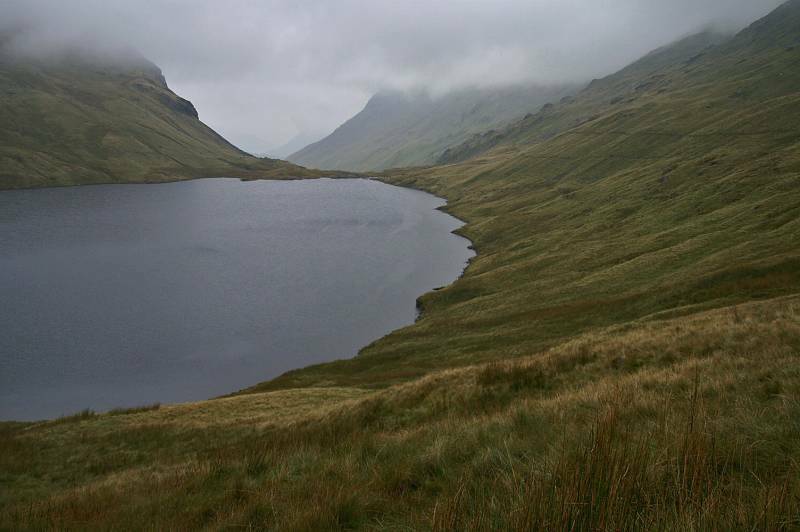 Grisedale Tarn, legend tells us roundabout 920 Saxon King Edmund fought a long bloody battle on the pass now known as Dunmail Raise, his adversary King Dunmail of Cumberland, the prize the charmed crown of Cumberland, the Saxons believed it to have magical powers, Dunmail lost the battle but before he fell the crown was placed in the care of two surfs who cast it into the dark waters of Grisedale Tarn where it lays to this day, fact or fiction it's certainly a magical place whatever the weather. 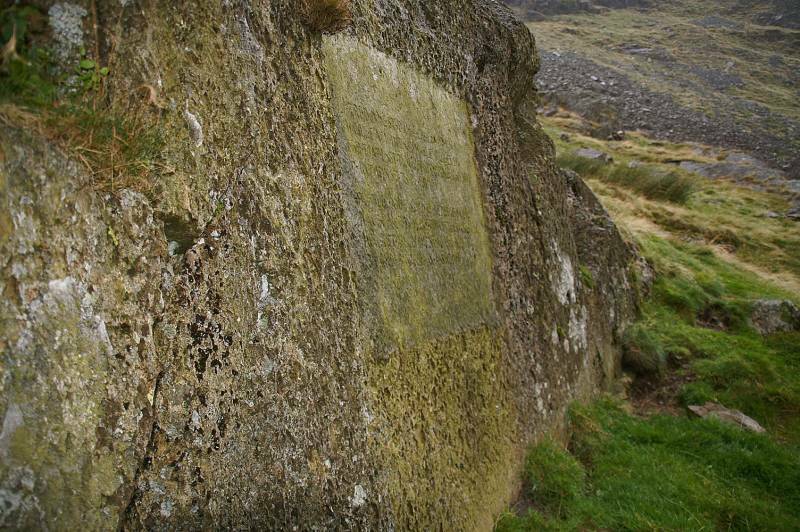 Found just below the outflow of the Grisedale Tarn, The Brothers Parting Stone, on the 29th day in September 1800 on this spot the poet William Wordsworth said goodbye to his brother John for the final time, he was later lost at sea. Having visited the stone you may ask yourself why bid farewell to a friend or relative in such a desolate place? 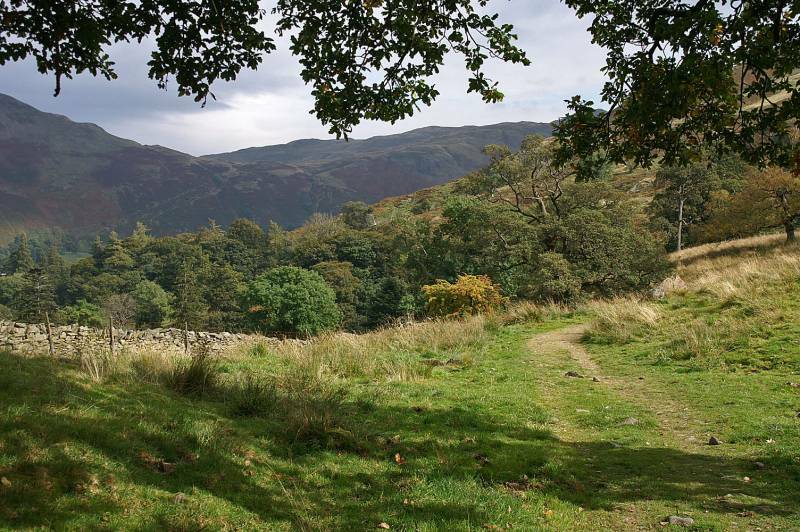 in 1800 this route between Patterdale and Grasmere was the main trade route, the M1 of its day. 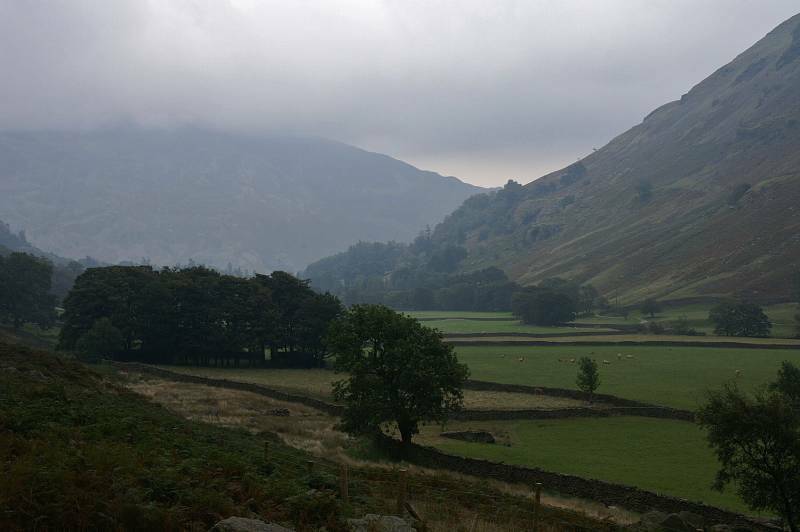 A hazy view to Birkhouse Moor. 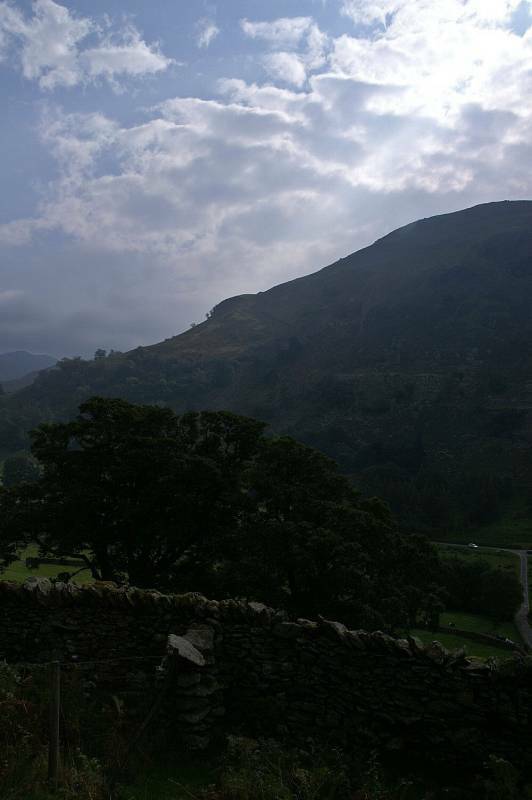 Fellwalker's "sods law" when you get back into the valley the cloud lifts, never mind there's always another day. 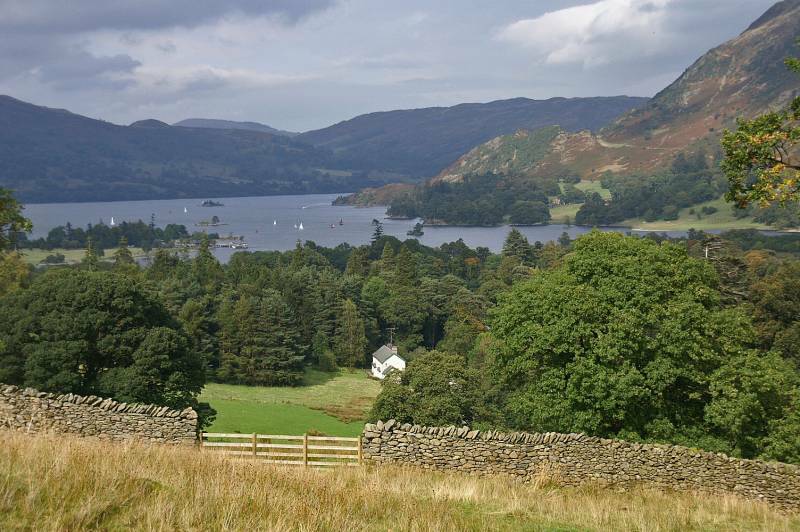 From Glenamara Park views over the Ullswater valley. Lit by the late afternoon sun Place Fell. On the skyline Sheffield Pike. 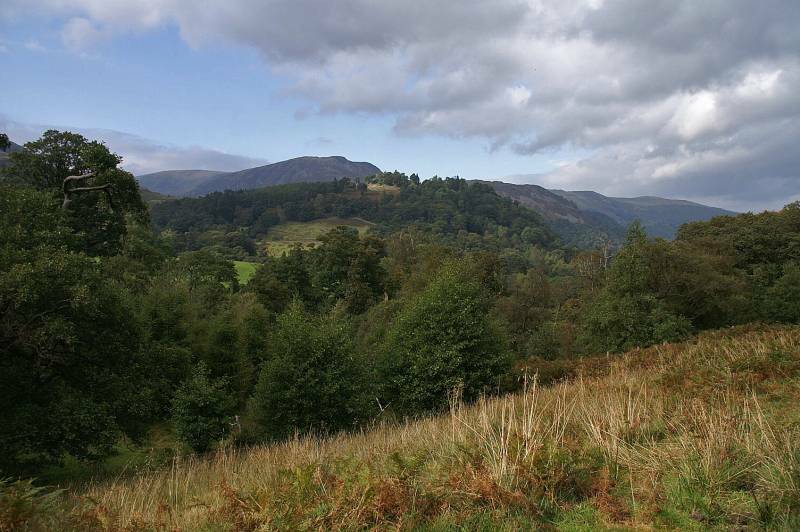 Rising high above Glenamara Park, Arnison Crag. 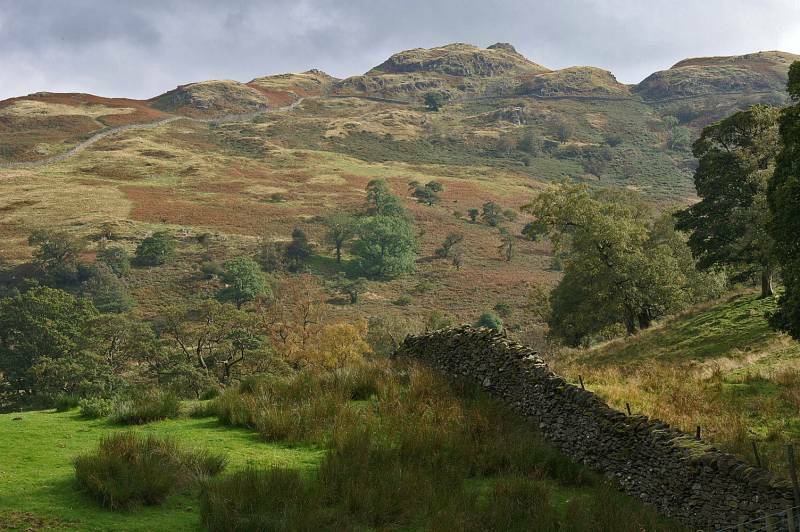 Walking through Glenamara Park with views to Boredale Hause. ....Sheffield Pike as seen over Keldas.